Barter Books : Davis, Brian L; McGregor, Malcolm [illus.] 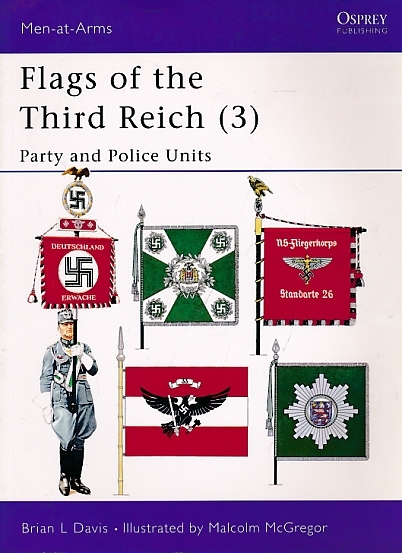 : Flags of the Third Reich 3: Party & Police Units. Men-at-Arms series No. 278. 280 x 180 mm (11 x 7 inches) - 48pp.